Hey everyone!! 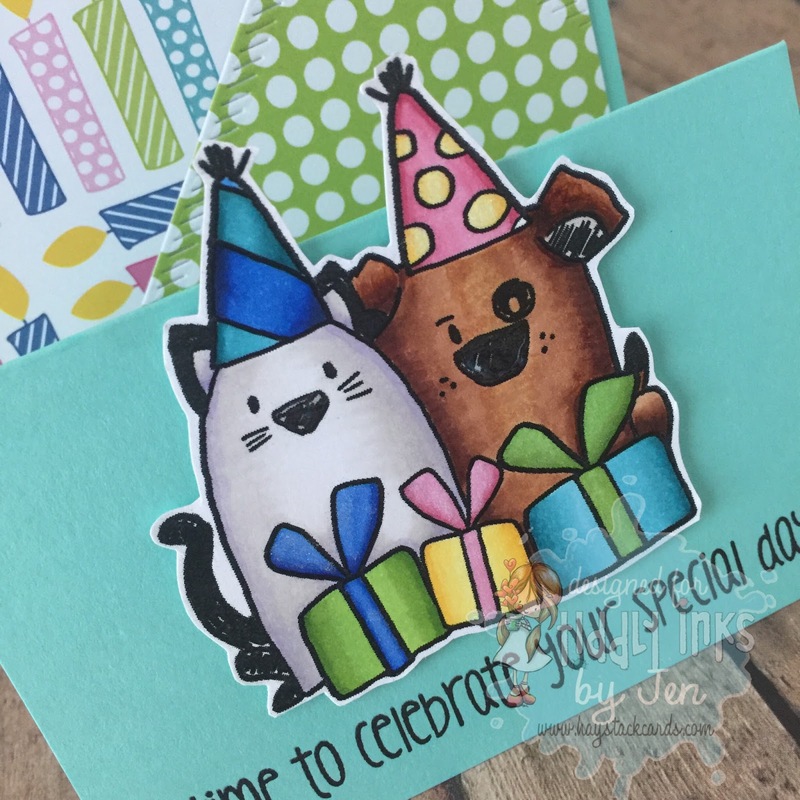 Today we have a super duper special Tiddly Inks Blog Hop to showcase some fabulous new animal images that Christy just released today. 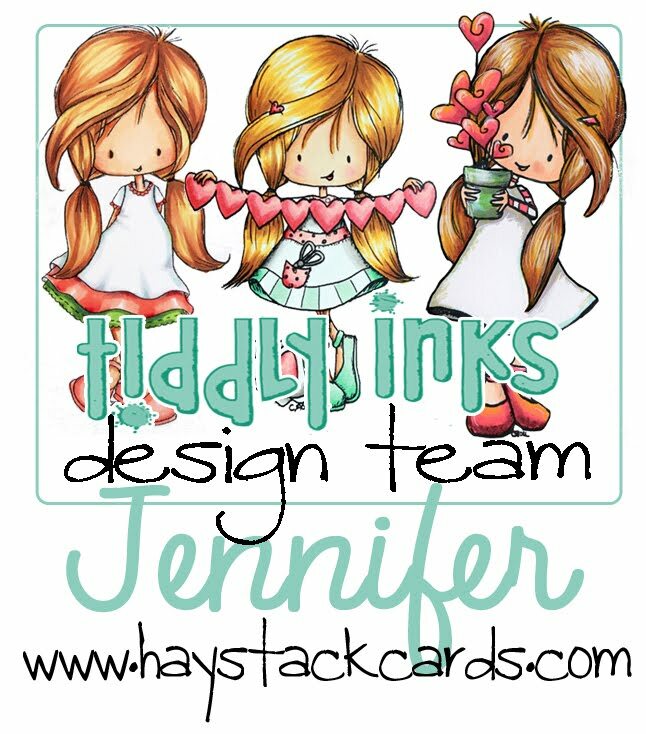 The design team and guest designers are joining in but we also want our incredible Tiddly Inks fans to participate as well. This unique blog hop is open to the public! 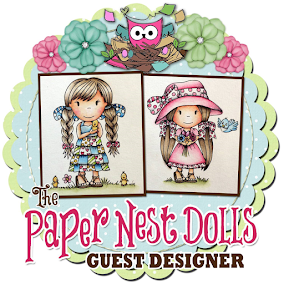 I'm also super excited to see my coloring featured in this blog hop banner that Christy created. How fun! This festive cat and dog are ready for the party!! They were the perfect focal point for this fun birthday card. 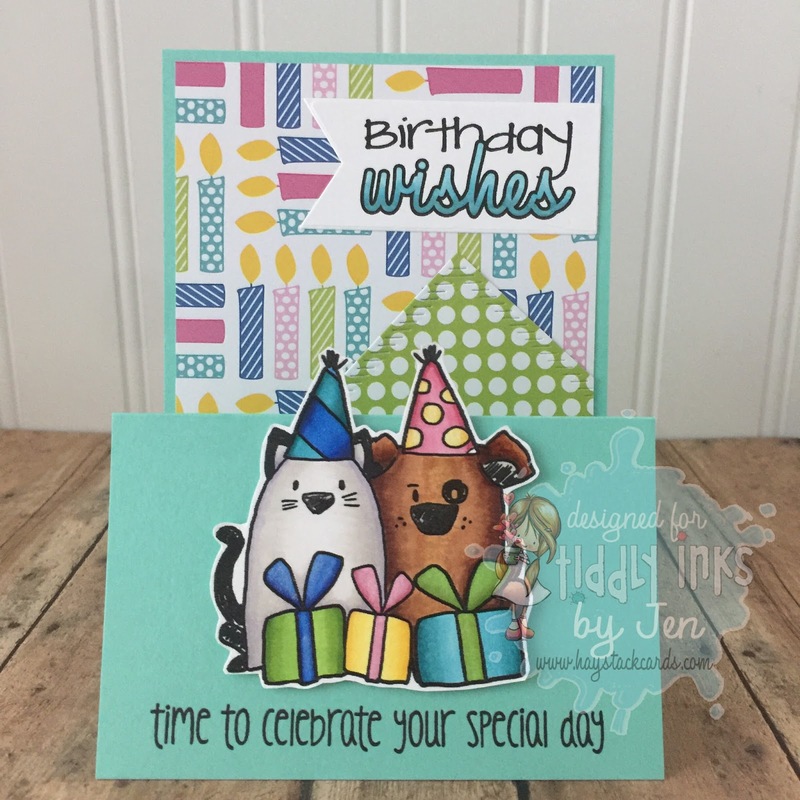 The sentiment is also from the Tiddly Inks newest release. 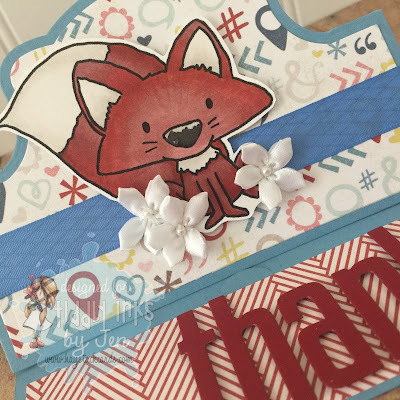 My second card features this adorable fox. After coloring him with Copics, I found the perfect patterned cardstock to use for a background on this super fun easel card. 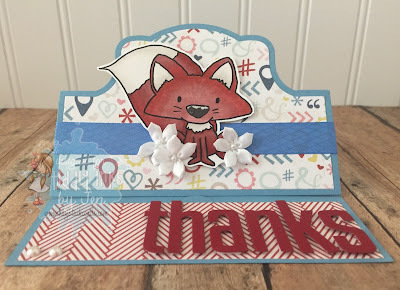 I re-purposed the negative pieces of some alphabet dies I had used for another thank you card. I popped the letters up with foam tape for added interest. How to Participate: If you've already created a new Tiddly Inks project for the hop, link up your project here. If you prefer just to look around, then here are the details. Visit each designer's blog along the hop and those in the inLinkz list too. The blog hop will start at 8:00 AM CST and you are welcome to visit blogs all day. Leave comments on each blog along the way to be eligible to win prizes. Then, stop in and chat with us in the Tiddly Inks Facebook Group between 6:00 PM and 10:00 PM CST as one lucky commenter will be randomly selected to receive a $10 gift certificate. 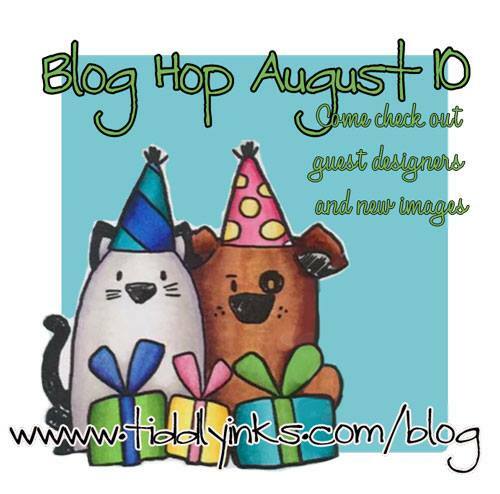 Prizes: There are $25 worth of gift certificates (5 certificates worth $5 each) placed throughout the designers blogs on the hop. These gift certificates will be randomly won by people who leave comments on that blog. You may win more than once by commenting on multiple blogs. In addition, two blogger participants will be selected from the Inlinkz list and announced on August 13 to receive a $10 gift voucher. Not only that but there will be random prizes and freebies throughout the DT blogs, so be sure to comment below and visit each blog on the hop for additional chances to win. 1) WANT TO WIN PRIZES? LEAVE A COMMENT BELOW! Now, get hopping Wryn style and have fun!! I can't wait to read all of your comments!! Both of them are totally precious!! Thank you! Squeee, Jen they are ADORABLE!!! That fox card... squeeeee!!! Thanks, Jody!! You're the best!! 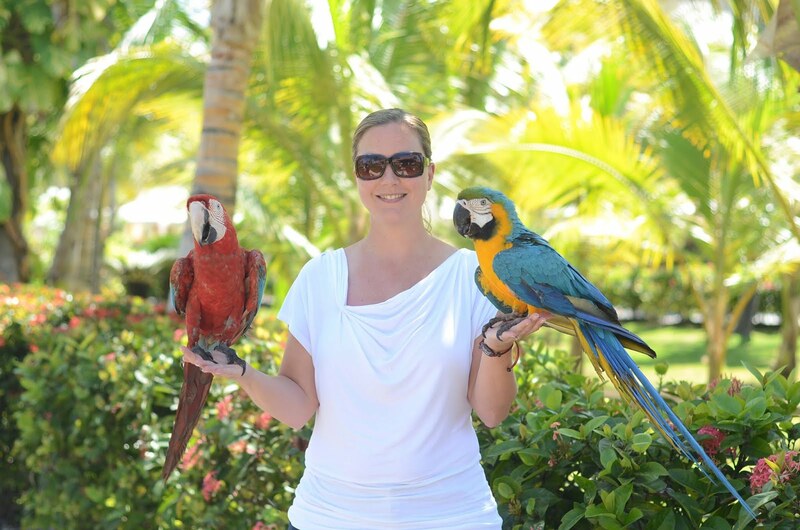 Christy has rolled out some fabulous new images! Can't wait to get crafty with all of them! Lovely colourful cards. That fox is so cute. My niece used to be class teacher of Foxes but she is currently expecting her own "little cub"
Your cards are definitely amazing Jen! I love both of your cards--the new images look fab on your easel cards! Thanks for the inspiration! These are wonderful cards! Love the folds - thanks for sharing! I'm loving them both, but I especially like the first one...so cute and festive!